Dillon Forte, an accomplished tattoo artist originally working out of his bay area studio, has made the move down south with the recent opening of his new Sri Yantra Tattoo location in Venice. 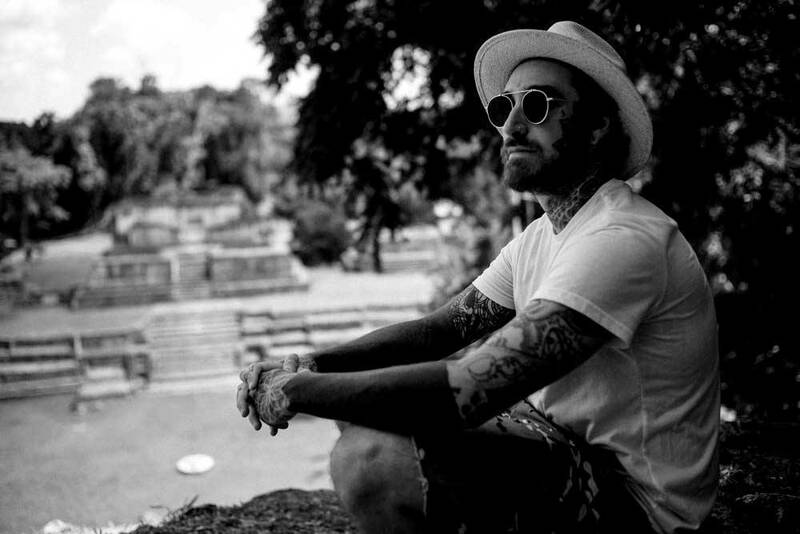 Located in the heart of Abbot Kinney, Forte continues to expand his footprint and further develop his unique brand of Sacred Geometry tattooing, canvas painting and other creative media formats. Since opening his initial shop in Oakland over 7 years ago, Forte has developed an incredible online following and high-profile, worldwide client base via his stunningly congruous artwork which is self-described as a “blend of tribal, geometric and spiritual influences”. 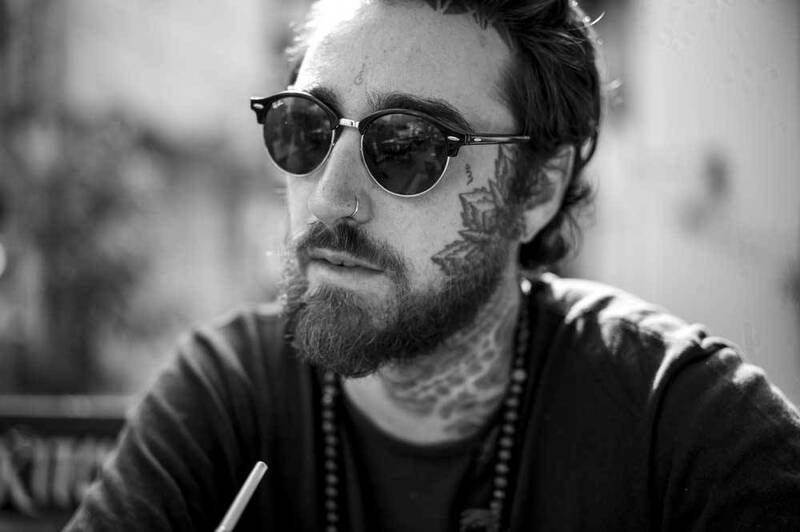 Sri Yantra Tattoo opened this November in the popular, bohemian meets urban neighborhood of Abbot Kinney. With 13 years of tattooing experience, Forte quickly found that integrating his purpose, spirituality and symbiotic relationship with creativity into his tattooing has been a primary driver of his success. 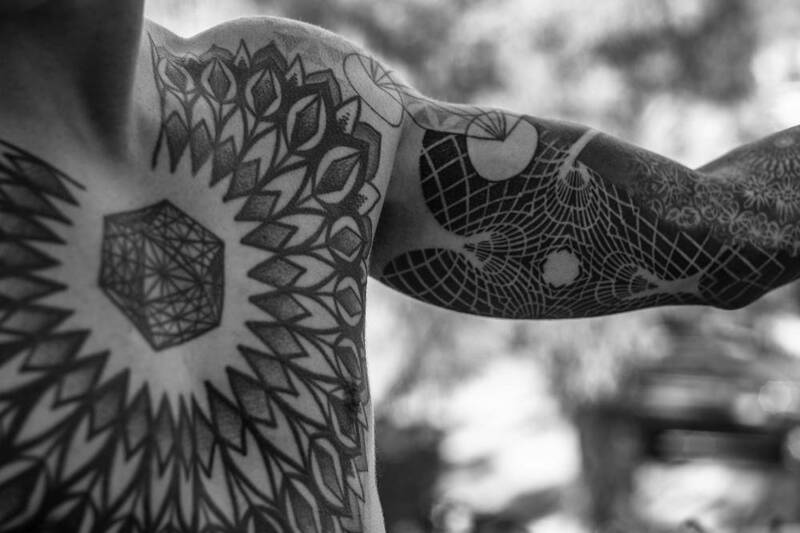 When he was a teenager, Forte was introduced to the book The Ancient Secret of the Flower of Life, which served as a springboard for his geometric inspiration and continues to be the foundation of his tattoo and artistic expression. His portfolio has attracted celebrity clients such as Chris Hemsworth and Kat Von D, and Forte has appeared on TV shows such as The Art Of Ink and Jean Claude Van Johnson. His work has also been featured by mainstream magazines. 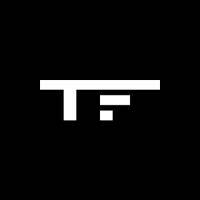 Forte is also known for his other creative efforts including sculptures, canvas art, murals, tech designs and galleries. Other artists at Sri Yantra Tattoo Venice include famed artist Cleo Kinnaman and the shop often announces guest tattoo artists throughout the year. Forte is available by appointment only, and more about the studio, artists on staff and guest tattooists can be found at his website.